What is emergency paediatric first aid course? Our Emergency Paediatric First Aid courses are a great introduction to First Aid and dealing with emergency situations that arise with children and babies. You cannot add "Paediatric First Aid course - Child CPR - Wednesday 6th of March 2019 09:45" to the basket because the product is out of stock. This course is ideal for those Mums and Dads, super Grandparents or private nannies and Au-pairs. 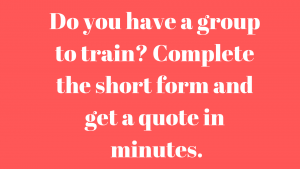 How long is this Paediatric First Aid course ? Our Paediatric First aid course is 6 hours long. We ask you to arrive bright and early on a Saturday morning normally in our Old Street venue. If enough people “request a course” we are more likely to run a further courses in you region. What will I be learning on this Paediatric First Aid course ? As child carers, we know that you spend loads of time preparing for every eventuality. No matter how tightly we try to bubble wrap children, accidents do happen. And when they do you’ll be grateful you made the decision to book the Paediatric First Aid course. We are one of the top providers of Paediatric First Aid training in London! We are always to tailor the courses to your environment which helps you manage and prevent these accidents as much as possible. See what other have said about our courses on Facebook and Trustpilot. Worked with Siren for the first time. Amazing service, straight to the point and very easy to work with! Fantastic course, delivered by knowledgable and passionate people! Strongly recommend!